Hello, OCTOBER BOWS!! 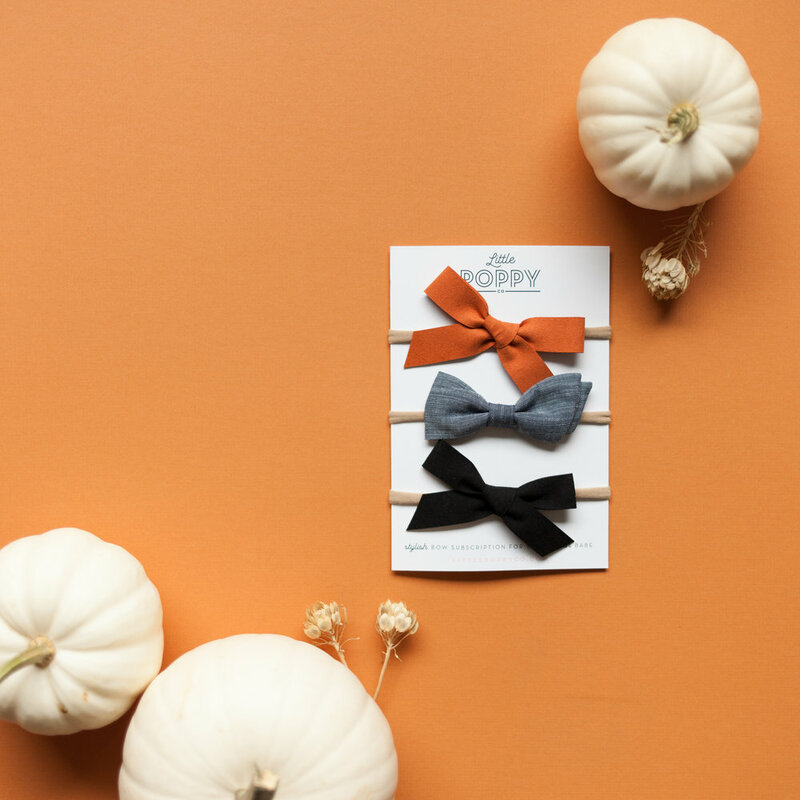 We're bringing back the birdie bow in a simple fall chambray and have two suede poppies! You heard me DREAMY SUEDE in black and pumpkin orange.